My beautiful friend Emma from Lovelly Communications! She had visited her sponsor child in Tanzania and this was the first time that I had heard that you could visit your sponsor child. After asking Emma some specifics, I decided to go ahead and request with World VIsion to visit my sponsor child, Velinda, in Honduras. WIthin 3 months, I was on my way for the trip. World Vision had organised a translator for my day with Velinda. His english was perfect and he was quick with his translations too, which was amazing … (Even if Velinda whispered something in my ear, he would kneel down and listen too and then straight away translate). It was things like “Will you visit me again? I like your hair” All those little details that I would have missed, the translator made possible for me. The God of Small Things – It was meant to be! I was given this book, “The God of Small Things, as a recycled /second hand gift at Christmas. 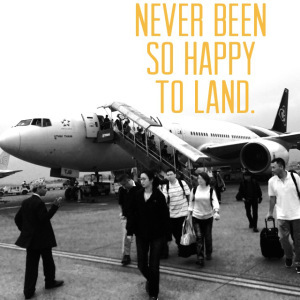 I was loving it then lost it on a plane on the way to #Germany. I got to my friends house in germany and told her id lost a book I was enjoying and that it was about india. She asked for the title?? I told her, she went to her bookshelf and found it! She had it in German and English so gave me the English copy. Some things we are just meant to have! This book was incredible! I loved it! It was thought provoking, it was deep and once you start you cannot read. It’s almost indescribable. The author takes you into this magical world of these odd twins and the story twists, turns and tangles around itself until the last page where you are left sitting and blinking into the abyss. What happens if you get trapped hiking in the mountains? 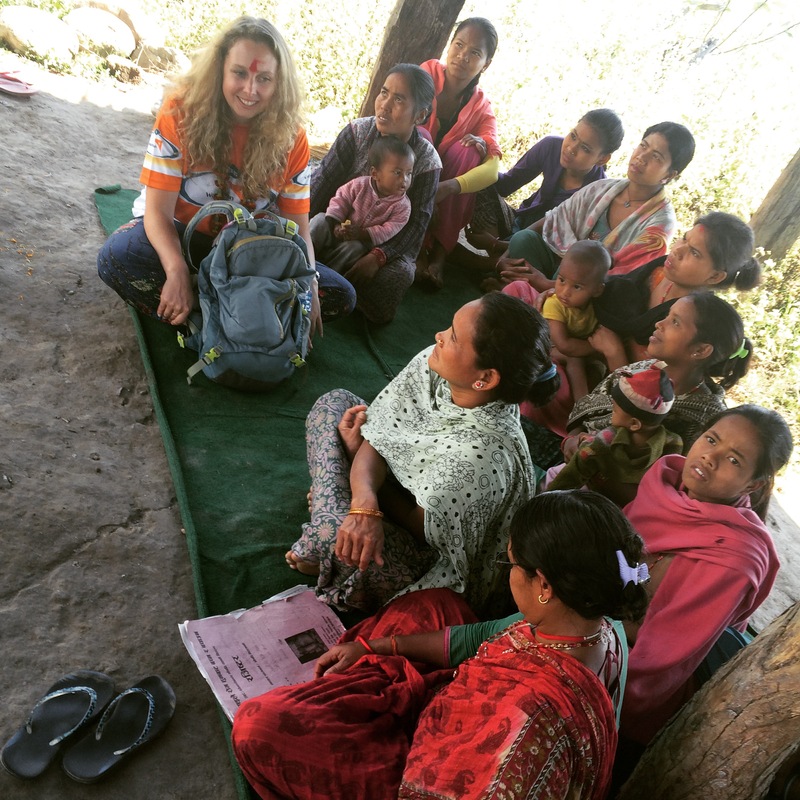 Matt Darvas, World Vision worker in Nepal, can tell you exactly what happens. He was trapped in the Nepalese mountains, Annapurnas, when trekking last year. Matt has been living in Nepal for quite a while and done a number of treks, but perhaps this was to be his last. Here are a few excerpts from Matt’s incredible adventure. …What option did I have? There was no going back at this point and only one way down. As I inched my way down across the face, I was muttering the following to myself furiously. How could I possibly have allowed myself to end up in a situation like this? This is unnecessary, stupid and down right dangerous! I don’t need this. I have a wife, a job, a plan for my life (provided I make it down off this cliff) and it certainly doesn’t involve this! I also highly recommend you sign up as he is a great writer and living an incredible life on his journey of working in Nepal. It’s hard to choose, but these are the five top photos that I posted to friends and family from my day with Kamala, my World Vision sponsor child. I sponsored her with my mother for 5 years and to meet her was a dream. Seeing her school, looking into her eyes and hearing about her life was just incredible. 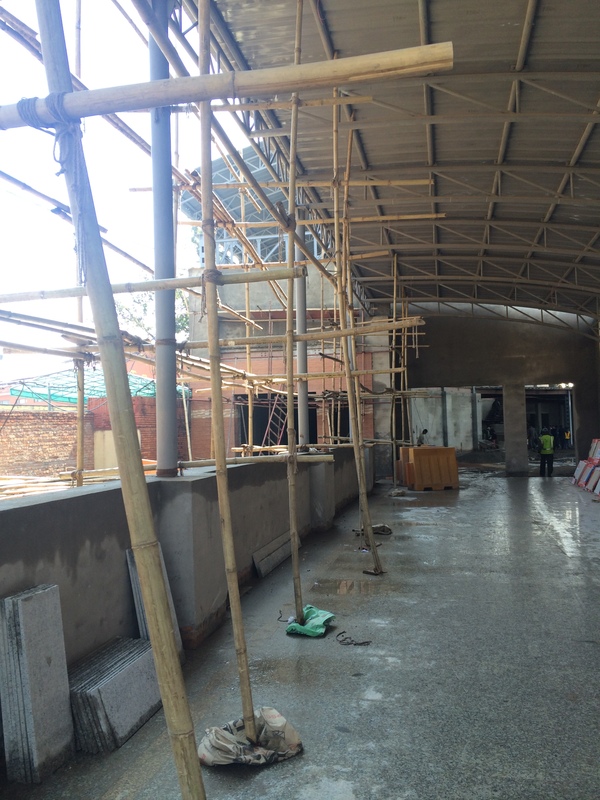 We also got to see projects in the community and learn how World Vision has made a difference here. 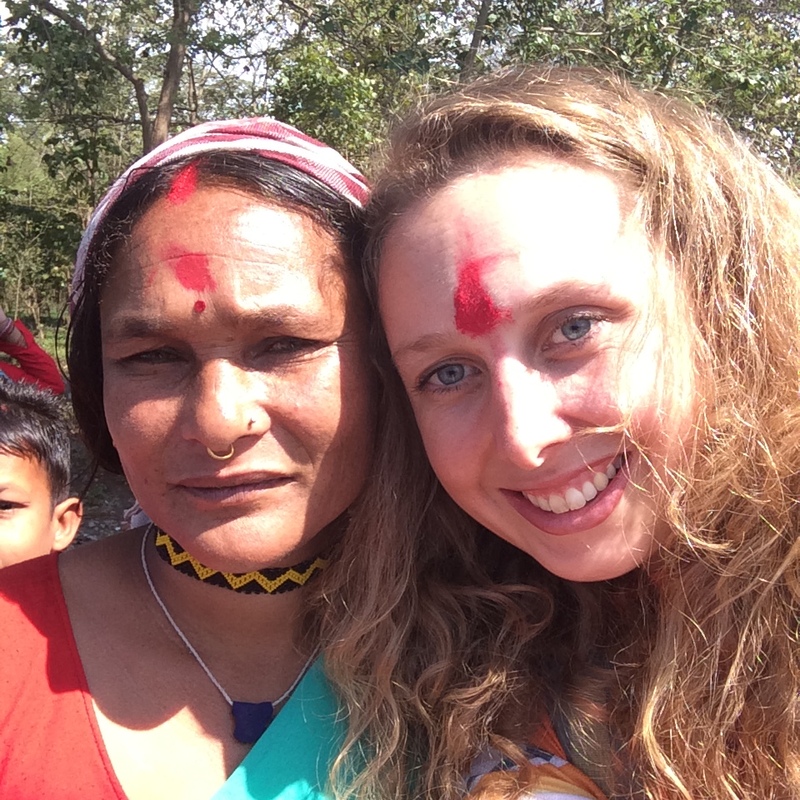 The moment I realised I was meeting Kamala, my #sponsorchild through@worldvisionaus. Her mother began to cry as her little daughter stood between us. So much emotion. A special moment with Kamala. It’s hard to connect sometimes when there are so many people and it can be so intimidating for the #sponsorchild. After some time sitting together, we started to make faces & I saw her relax and feel comfortable. I loved this moment. I said in “Nepali” are you ok!? Tik sa? She said “Tik sa.” I’m ok. The incredible elders of Kamala my @worldvisionaus #sponsorchild watch over our meeting together. Their smiles meant the world to me. My final moment with Kamala at #kailaliADP #worldvisionnepal@worldvisionaus we hugged and looked in each other’s eyes and smiled. 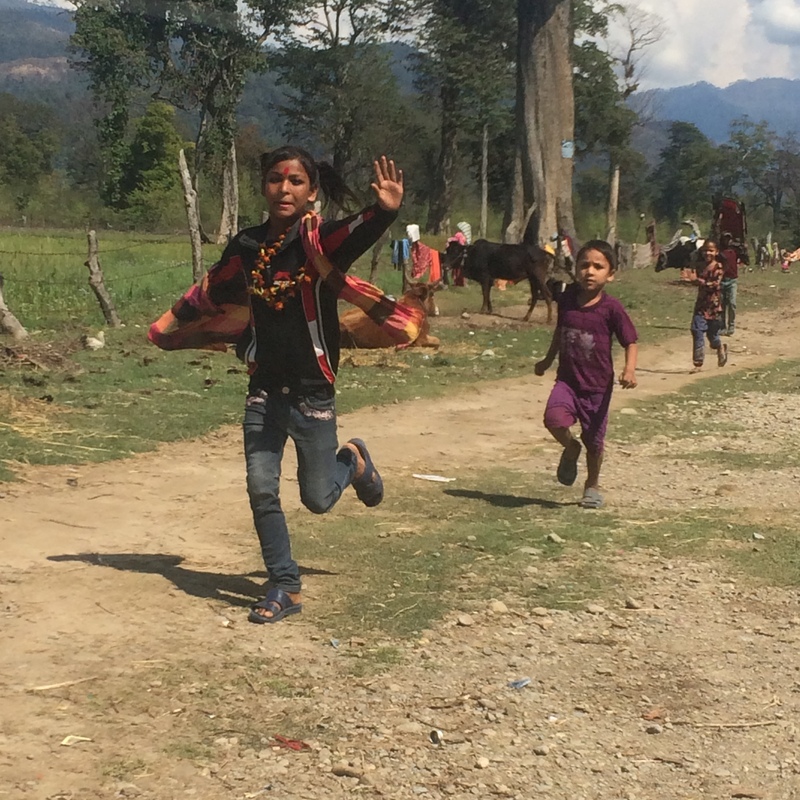 My Darling Kamala and her little brother ran after the car until they couldn’t keep up. @worldvisionaus #sponsorchild visit. They then waved until the car was out of sight. What’s the other reason I’m in Nepal? I’m climbing to Everest Base Camp on March 7, 2015. 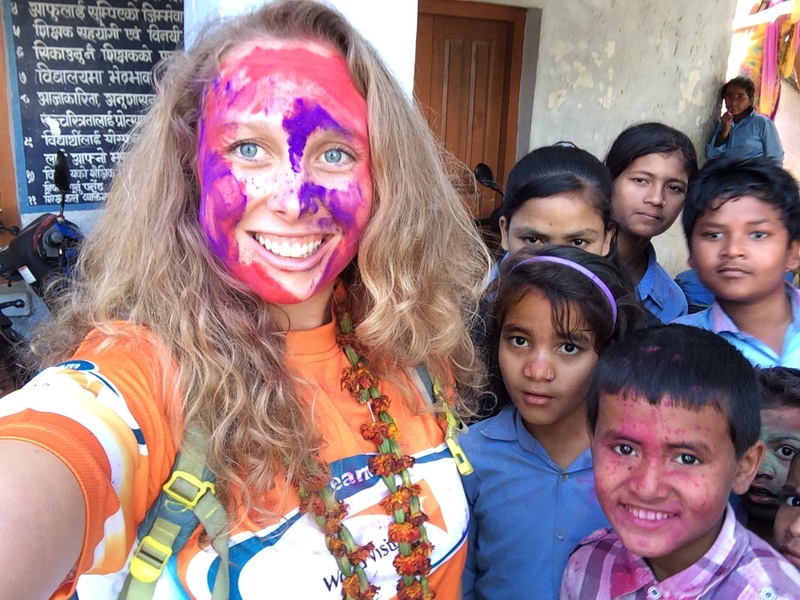 Sponsor me and support the work of World Vision Australia: https://everest2015.everydayhero.com/au/emma-takes-on-the-best-trek-everest. 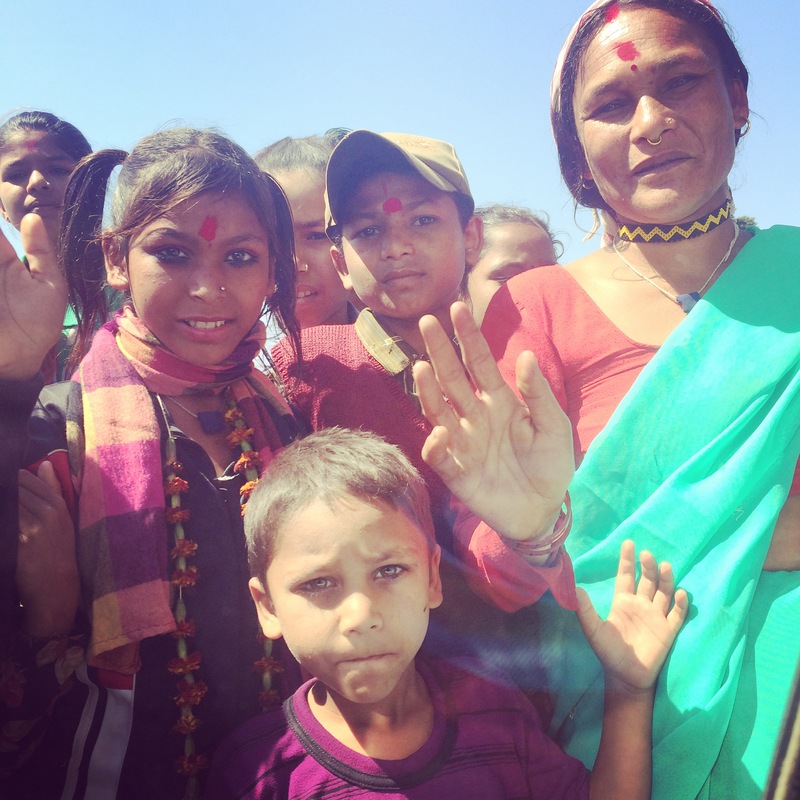 You can follow our adventure on Twitter, Facebook and Instagram with the hash tag #everestbasecamptrek2015 and by following @inspiredadvntrs on Twitter and the blog here. 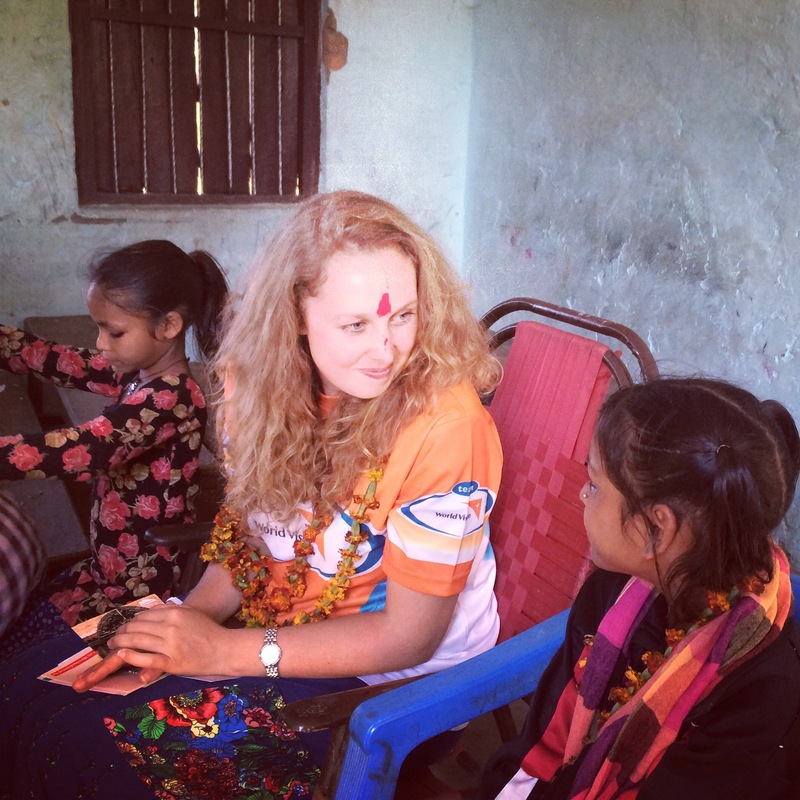 After the emotion of meeting my darling Kamala , a little girl in Nepal I have sponsored with my mother for 5.5 years, I was treated to a tour of the local area with the World Vision staff. It’s important with World Vision to not only learn about and meet the child you sponsor but the greater community which is also supported by our generous donations. The visit was of course the highlight and I have shared my experience and story here. In the morning, my first stop was to the ADP office to meet with staff of World Vision. 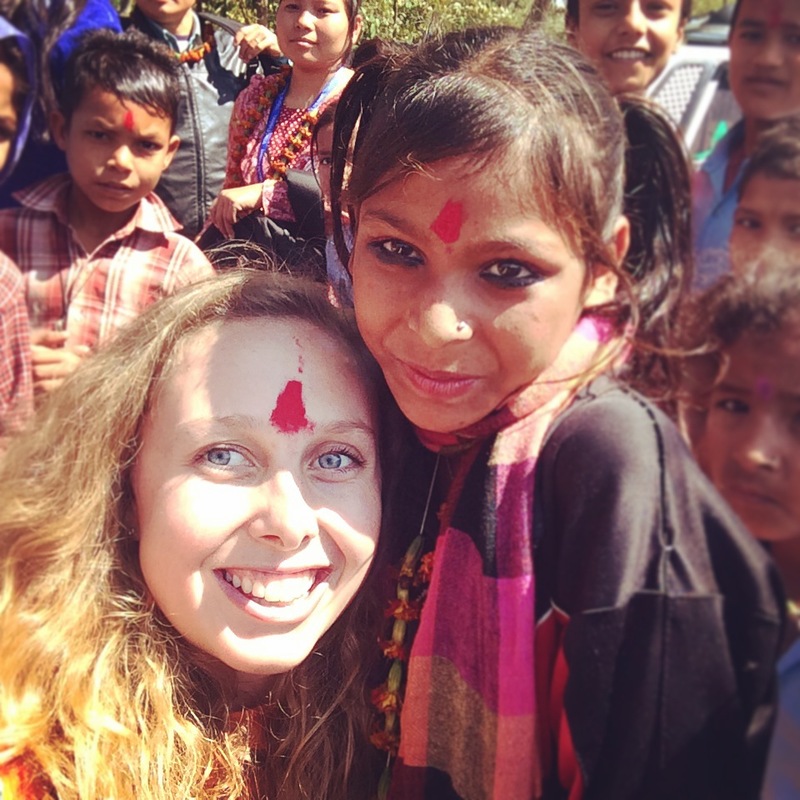 I was met at my hotel by child sponsorship manager, Kiran. He is a kind and sweet man who clearly has a passion for seeing children live a better life. 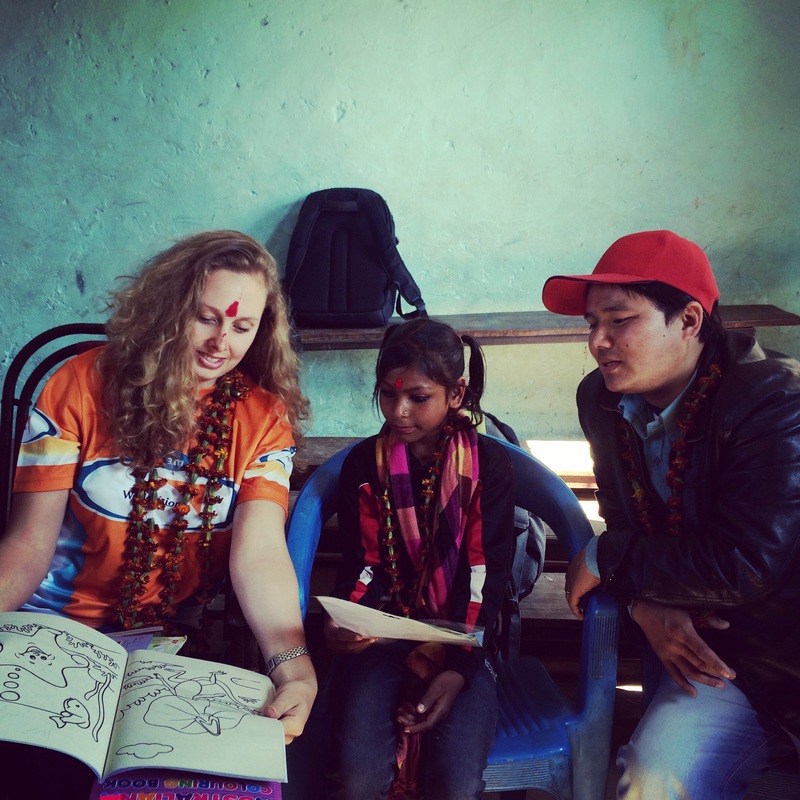 Soon after I met the lovely Absara, a young intern at World Vision. 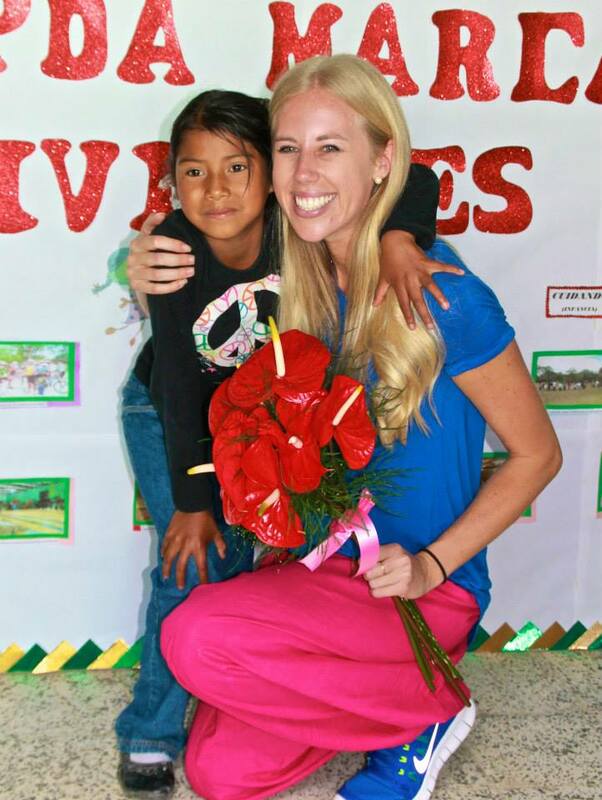 I was the first child sponsor she had met and she was very excited to see my experience. We sat with the manager of the ADP, Mr Rajan and then met with the entire team. I always like this process with world vision. We are all introduced and each person tells their role. 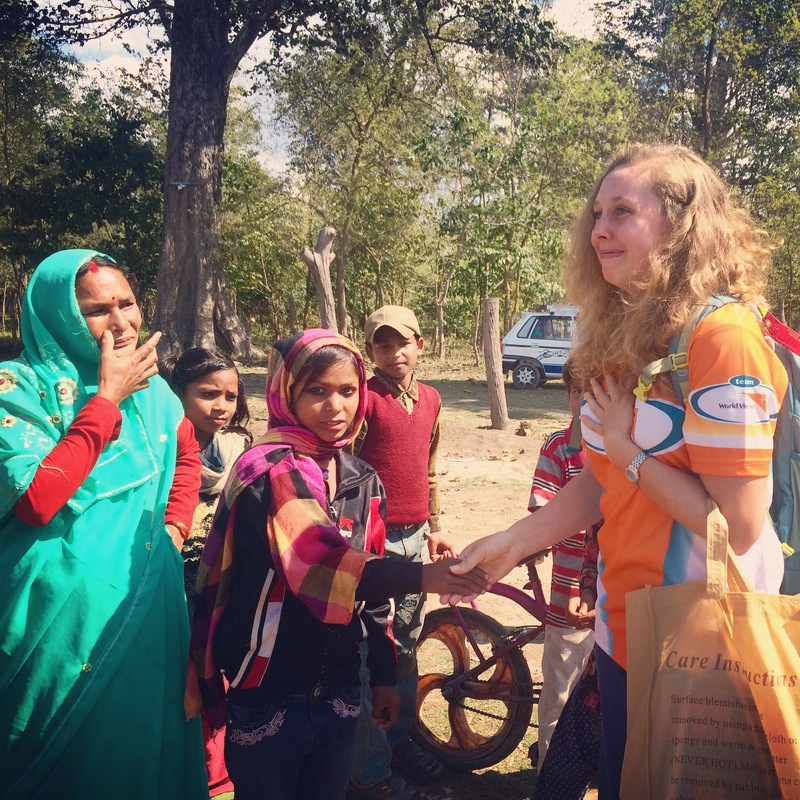 I also introduced myself and shared my many experiences with World Vision and my role now as a #WVAblogger for World Vision Australia. Most importantly, I thanked them for their efforts and tireless work. As a sponsor the best part is seeing the lives of our children in foreign countries and how our support helps. Kiran showed me around and also showed me the folder of Kamala’s entire sponsorship history. It was magnificent to see her development over the time and the correspondence we had had over the years. I also got to see the computer system where they keep all the updates on the children. It’s meticulously detailed and I was so impressed and pleased to see that World Vision are so invested in the children’s lives. 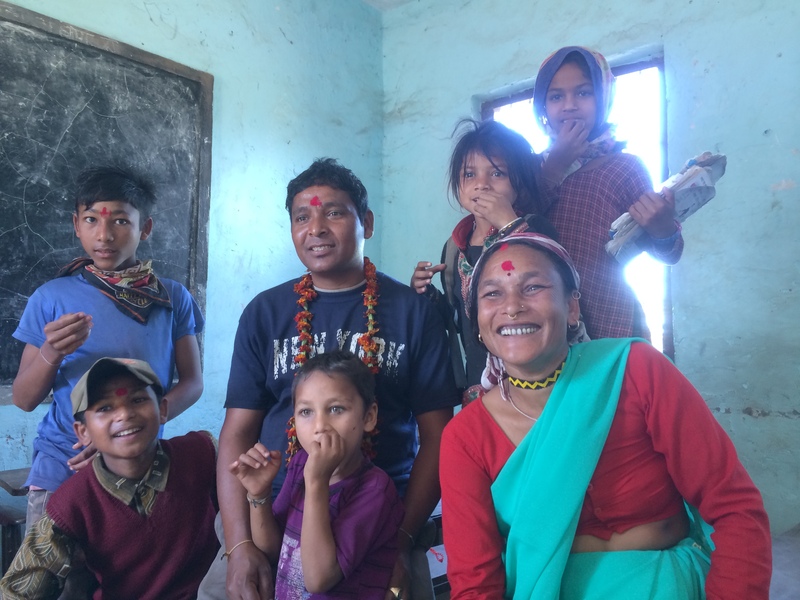 After my visit to kamala’s school we went to another local office. This office was manned by two staff members and they explained their role in more of the nutrition and health side of the projects. They ran Early Childhood Development centres, mothers groups, Outreach Centres for immunizations and childs health and general nutition and health information for the wider community. They have a group called the Unity Society and again this main focus is health. Great to hear of so many programs being run and I would get the chance to see some today. We went then on some very treacherous and bumpy roads and even had to stop short and walk due to mud and huge divots in the road. 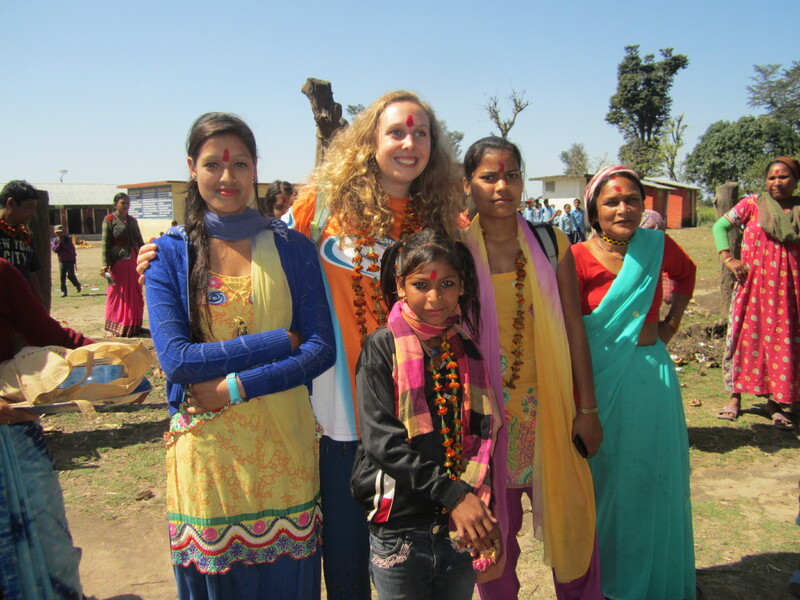 We were met by community volunteer, beautiful Padma and walked to amothers group. At the site, they were also building an Early Childhood Development Centre. 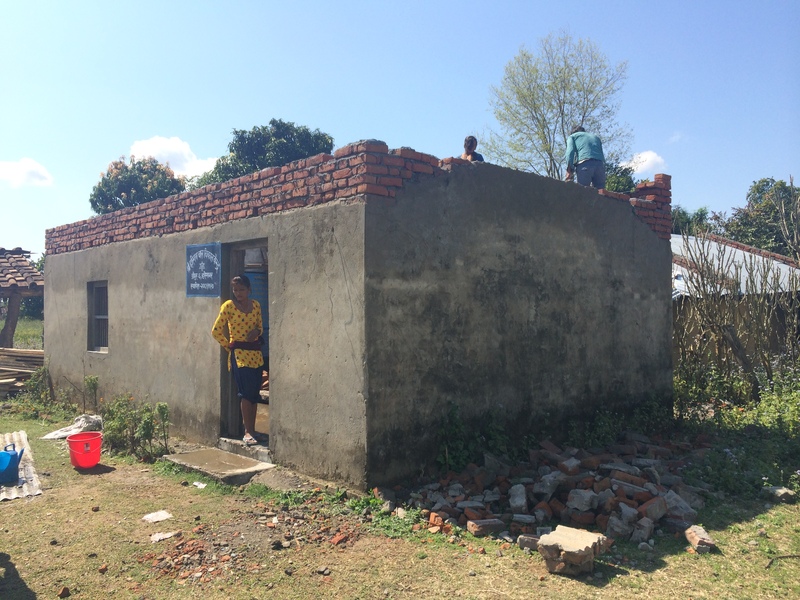 This is where mothers could take small children and start their education and basic life skills. Mothers and babies met under a tarp and sat on a mat to greet me. I don’t like to be so formal and separated so I asked to sit amongst them and chat. We talked about their monthly meetings and what they learnt. Some were also members of savings groups, one of my favourite programs run by world vision. 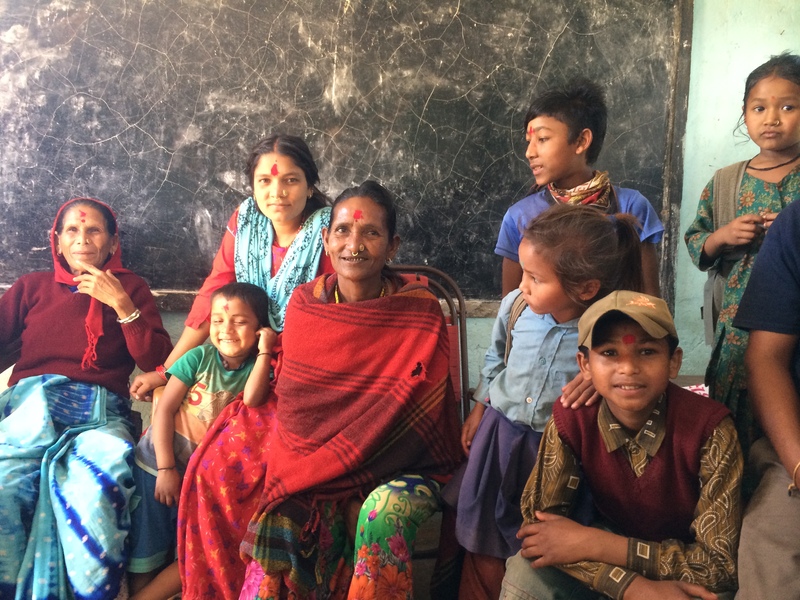 Through being a member they can save their own funds into a large pool with other women and take out small loans from the group to fund business growth or help in times of need with chidlrens health and education. 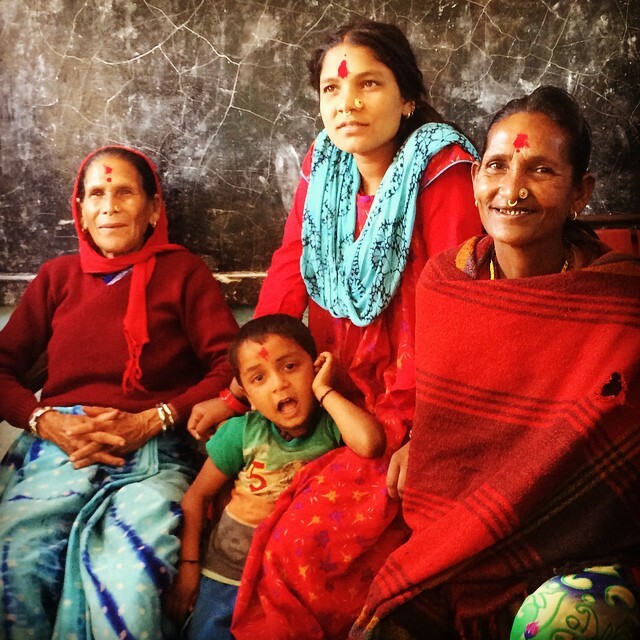 It provides financial empowerment and business skills to women in these communities. The leader of the group was a Governemnt health worker and she was actually the mother of Padma. 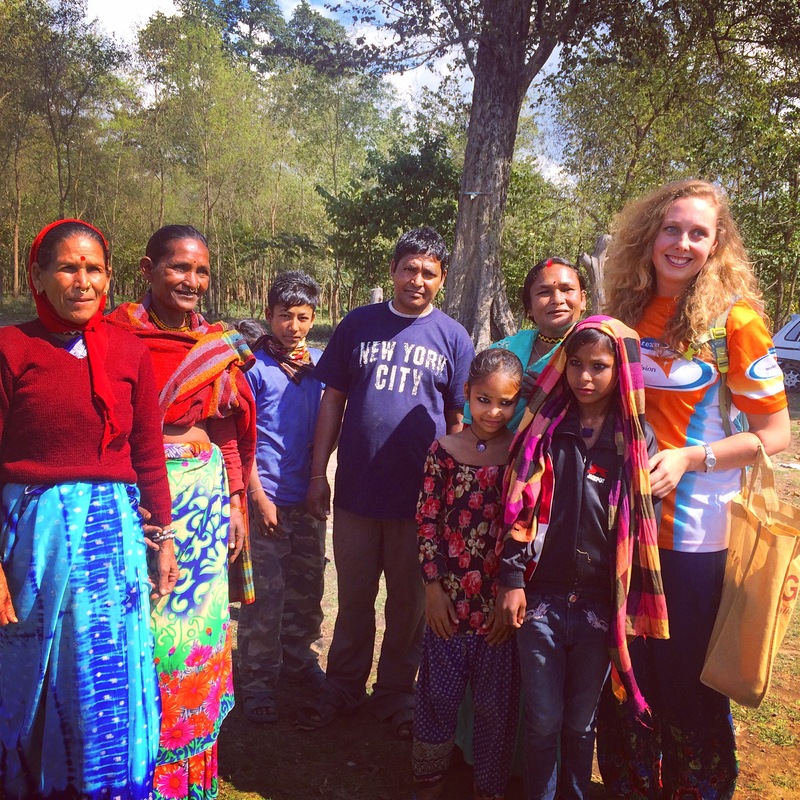 It was so lovely to see that the World Vision passion and support continues through the generations and really becomes a sustainable part of the community. I asked her questions about her role and what the group is able to achieve. 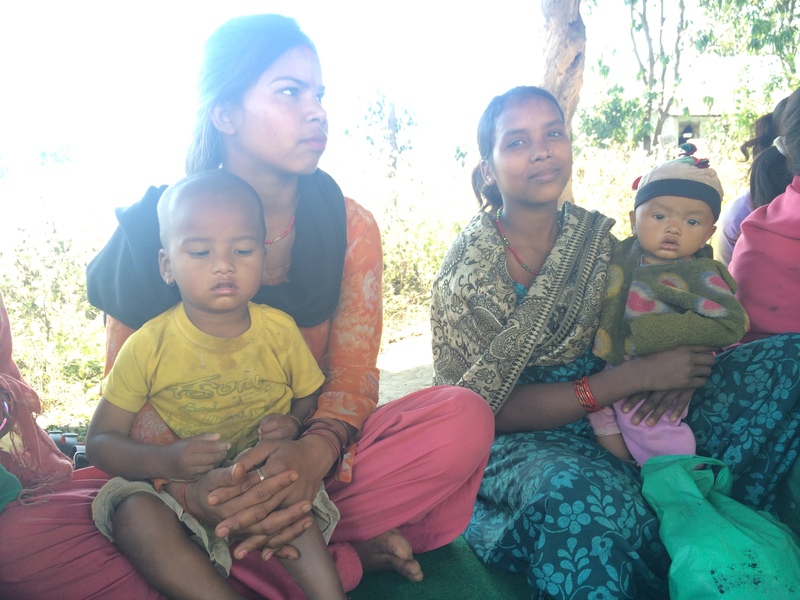 She helps the mothers with health advice and they talk to them about nutrition and caring for their child. They meet once a month to share their stories and learn together. It was sucha pleasure to share time with them. We next went to visit a school. I love schools!!! 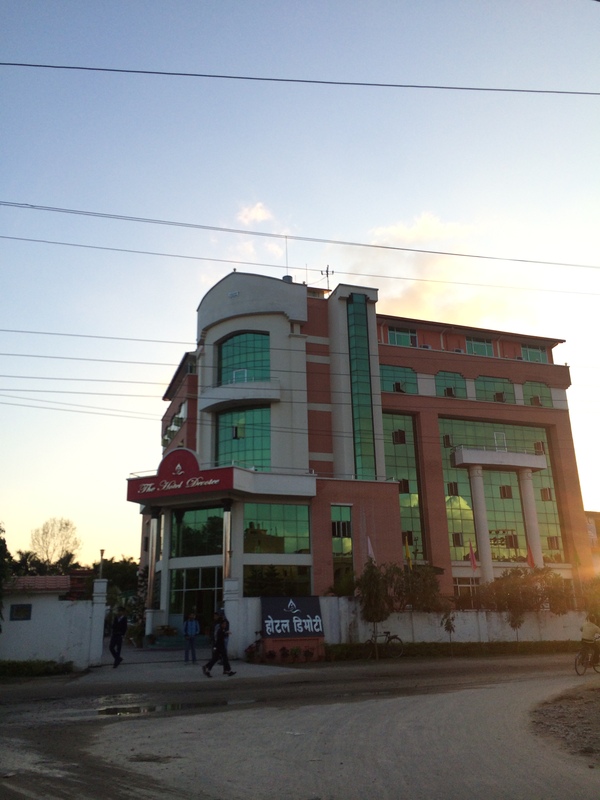 This school had 1100 children…. Ummmmm!! They swarmed towards me as we approached and I remembered it was the festival Holi. There was colour flying everywhere and cheeky boys were chasing girls to smudge bright colours to their cheeks. I saw one looking at me slyly so I patted my cheeks and he gladly walked over and smeared pink all over my face. 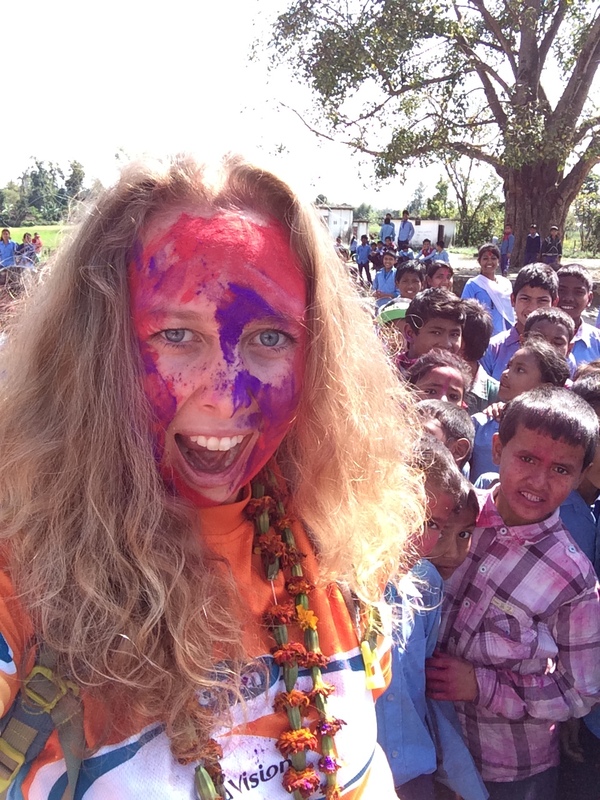 I was inducted to holi and the children roared with laughter. As I walked into the group and through the grounds, I was surrounded 360 degrees by fascinated children of all ages wanting to catch a glimpse. Another young man approached me, this time with handfuls of red dust. I welcomed him and he really got stuck into putting the colour all over me. Wow! If you’re going to do it, do it well. A few other boys came up and I now had a completely covered face and they found it very amusing. I smudged some colour off my face and patted it on the cheeks of the smaller children around me. I could have played all day. Except, when they started sparing water, we were outta there. My hosts led me upstairs to the teacher’s office to meet with staff. 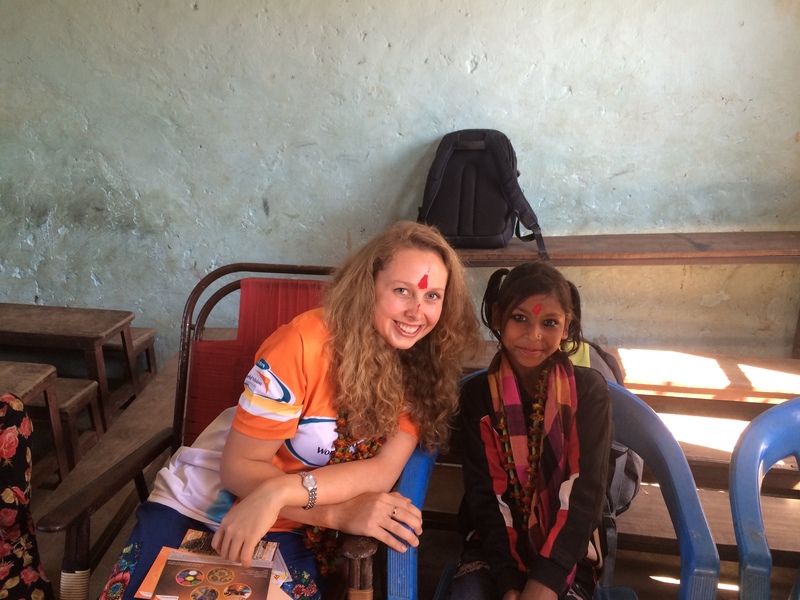 We sat in a room with six teachers and were joined by another young volunteer for World Vision. We again did the introductions of ourselves and what our roles were. 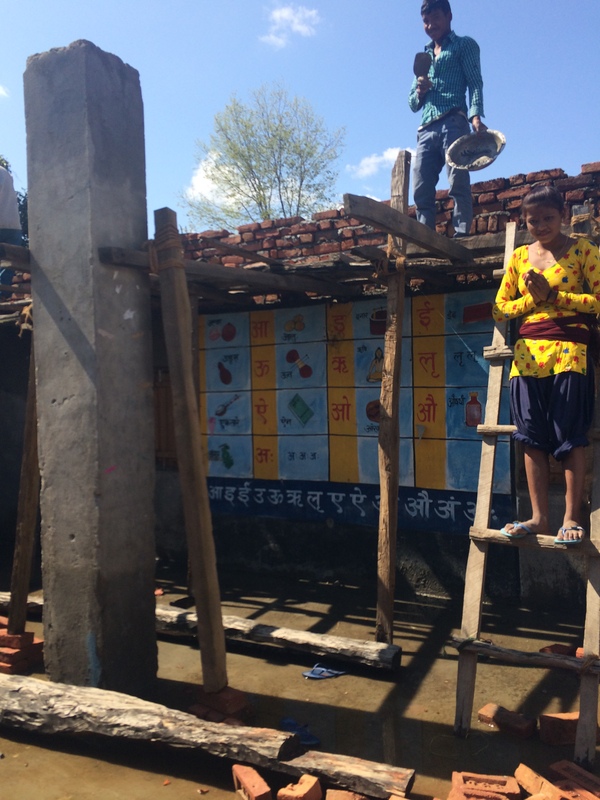 They told me about working with the children and that there were 1100 kids in the school. I was pleased to hear 600 are girls and 500 are boys. So many girls in school is so great. 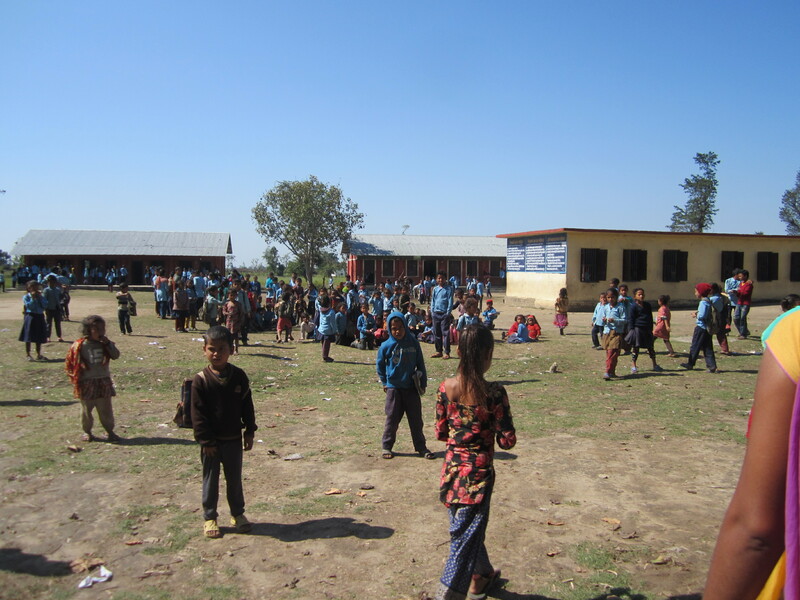 There are approximately 100 registered sponsor children through World Vision at the school. 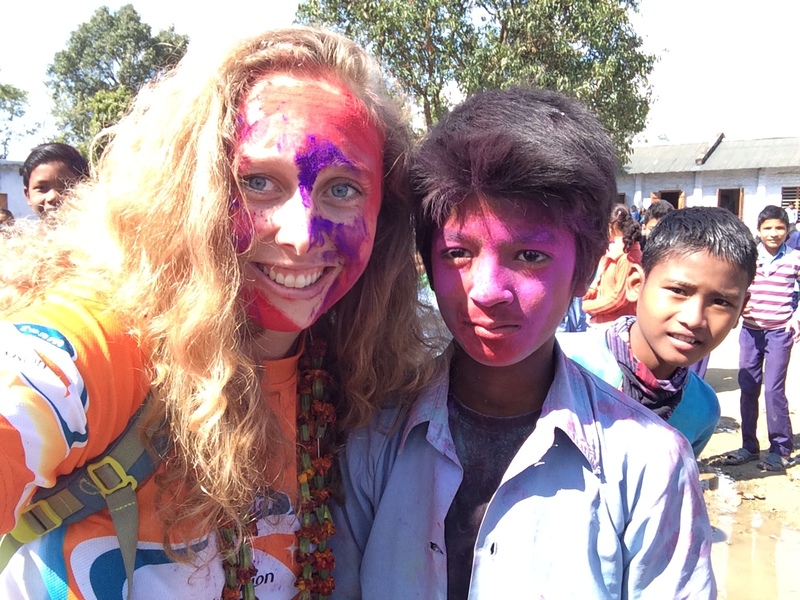 World Vision run teacher training programs as well as the “One Goal” program here. That’s a program for children to play soccer and then take part in other activities such as hygiene, sanitation, child protection and awareness and other such important life skills. 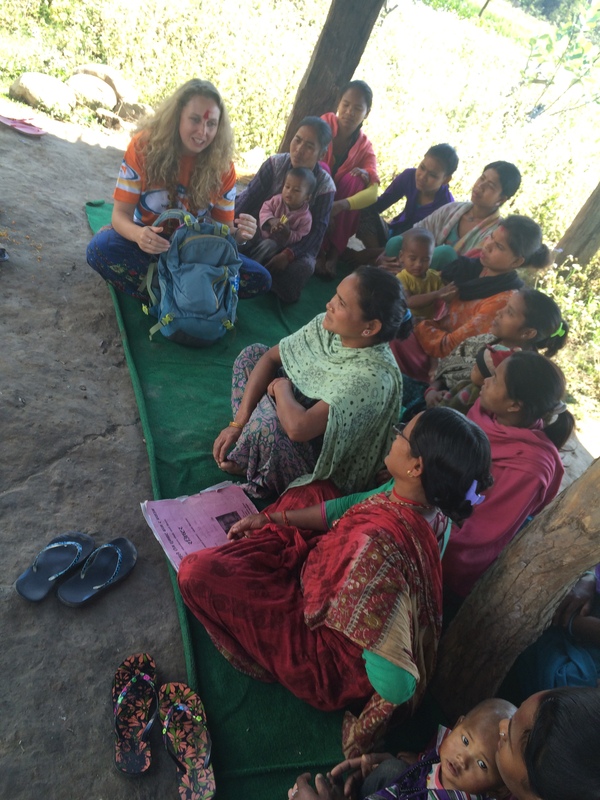 It was so nice to see the teachers engaged in the program and working with World Vision to help the children. Our final visit for the day was to the Outreach Centre, ORC. This is being built at the time and the community project manager was so proud to meet me and show me their work. I was one week too early as they plan on being finished and in business for the community next week. Governemnt health workers will come here and help with immunizations, weighing of children, health checks and running nuritiuon and basic care clinics for mothers nad children. 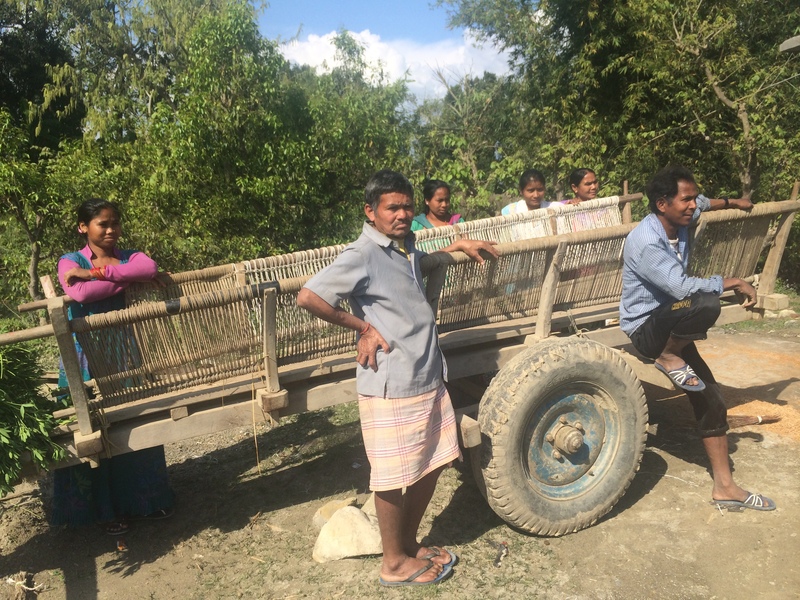 Helath workers and volunteers will go around to the 300 households in the community and tell them about when they can go to the outreach centre. 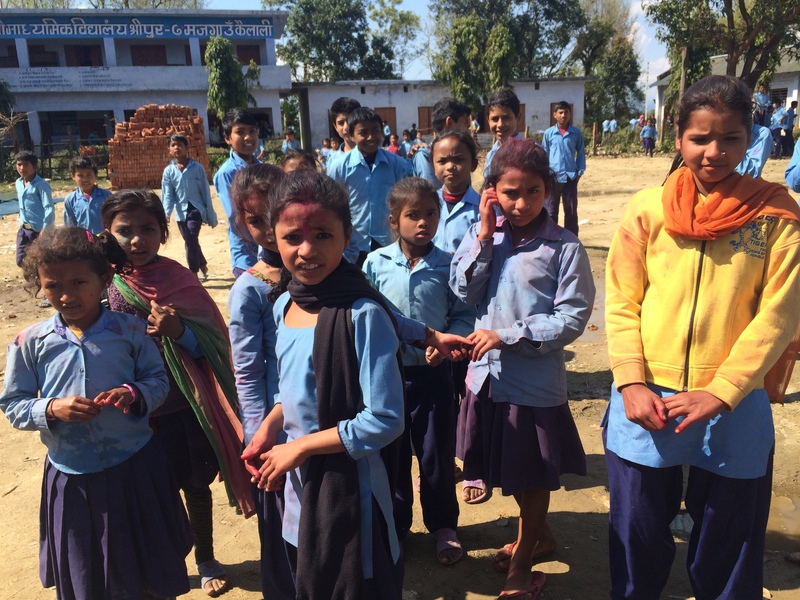 These are extremely important programs for World Vision as it gives people who would otherwise not have it, access to basic health and to education for a healthy child and family. We returned to the office. A long drive along bumpy roads and then down a busy highway. I stared out the window and let my mind wander. The thing about these project visit days is that it puts you on a whole new plane of awareness. The world is so much bigger than all of us. There are people and places we will never see, there are issues we will never know about and our role in context is so small. But great things start from small beginnings. Through sponsoring one child in a village, you can be a part of a community of supporters that help them to grow and develop for a more quality life. “Don’t do nothing because you can’t do everything. 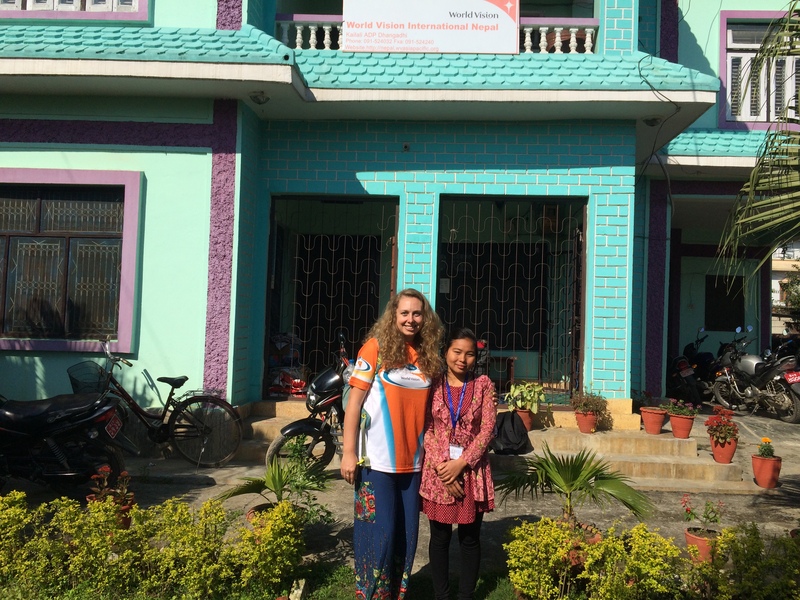 Thank you again World Vision Australia and World Vision Nepal for giving me this opportunity to meet my sponsor and child and see into her world. It’s pretty terrifying when you hear screams coming from various areas of the plane as your plane rattles, shakes and drops periodically. It’s worrying to see strangers holding hands. It’s nerve wracking to see the woman in your row gripping her knees with white knuckles and praying. And it strikes fear in your heart when you see not one but three flashes of light followed swiftly by a loud bang on the right side of your plane. Check out my blog post about the scariest flight of my life! A few days ago I flew into one of my favourite cities in the world, Kathmandu. My excitement and anticipation quickly turned to fear when the plane rattled through the air and dropped altitude suddenly a number of times. 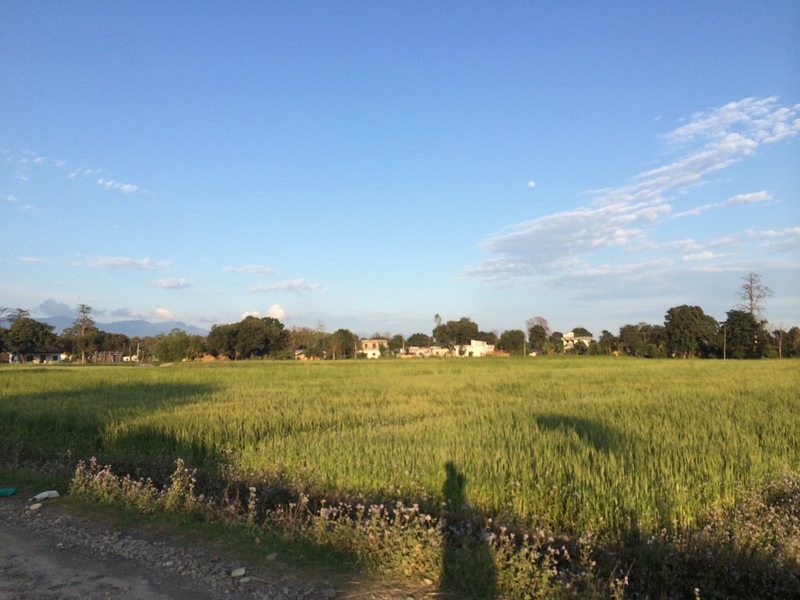 Flying into the Kathmandu valley surrounded by the world’s tallest mountains can be trying at the best of times…. with zero visibility and an electrical storm, it’s downright dangerous! In March, the Hindu culture all over the world celebrates the festival of Holi. Basically, everyone runs into the streets, throws vibrant coloured powder at each other, spashes each other with water and enjoys themselves. There’s music in the street, laughing and shouting everywhere and the day is for celebration. 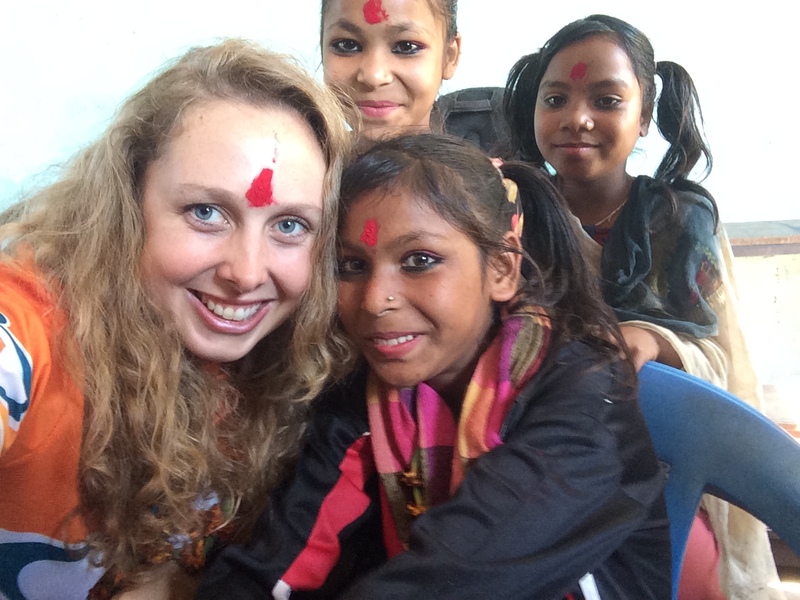 I was lucky enough to be in Dhanghadi, Nepal, this year visiting my sponsor child. As part of the program day we went to visit a school of 1100 childrenwhere World Vision runs programs such as the “One Goal” program for children wanting to take part in sports. We were quickly welcomed and noticed the colours flying around. I was inducted into the play by a cheeky little boy who had been chasing girls and smudging the pink dust into their cheeks. I welcomed him to add the colour to my face and laughed with him as I made an annoyed face. 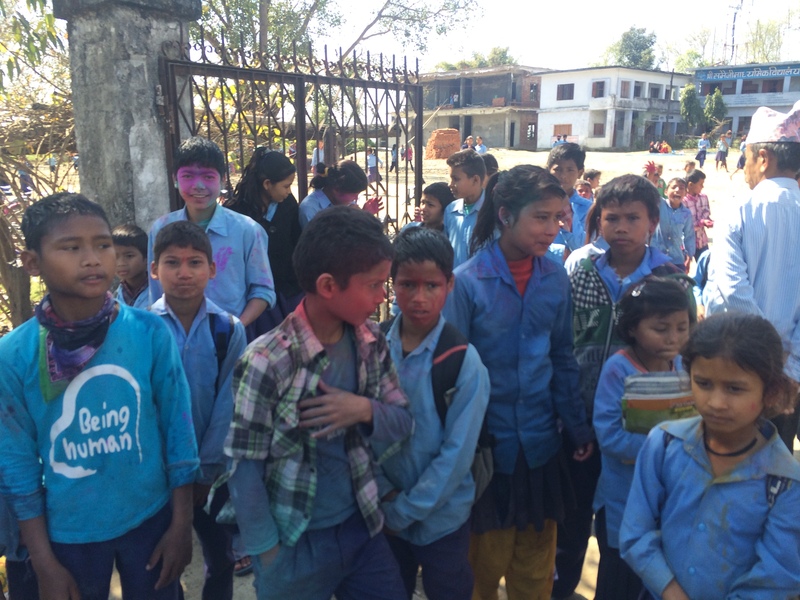 As we walked through the grounds being stared at with fascination by the children, more and more cheeky boys approached with handfuls of colour to welcome me into their fun game of Holi. It’s kinda weird when it goes on, and the dust flys up so you have to close your eyes and blow out your nostrils and mouth. I could taste and feel the powder in my throat for many hours after. 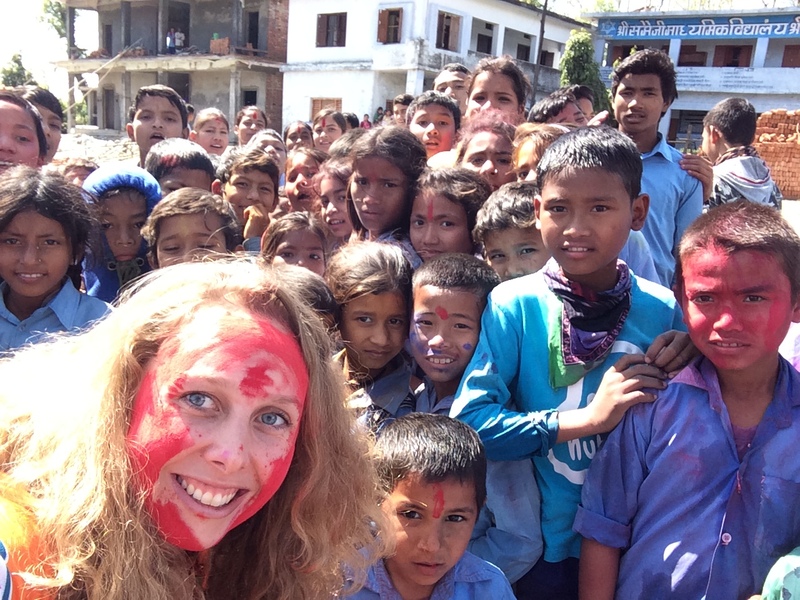 I loved posing with the kids for cheeky selfies, and they were asking me to take pictures of their coloured faces too. I was doused in pinks, reds and purples and it managed to dye my hair a lovely shade of off pink too. It was such a great day to be there with World Vision and to see the children so happy and playful. They would get a five day break for the Holi festival. The only trouble … getting the stuff off! I had facial wipes that I used before getting in the car so as not to ruin the upholstery for my taxi driver. I thought I did a pretty good job until we reached the next project and had a group photo and I realized I was looking like an oompa loompa gone wrong. Arghhhh many showers ahead. And! 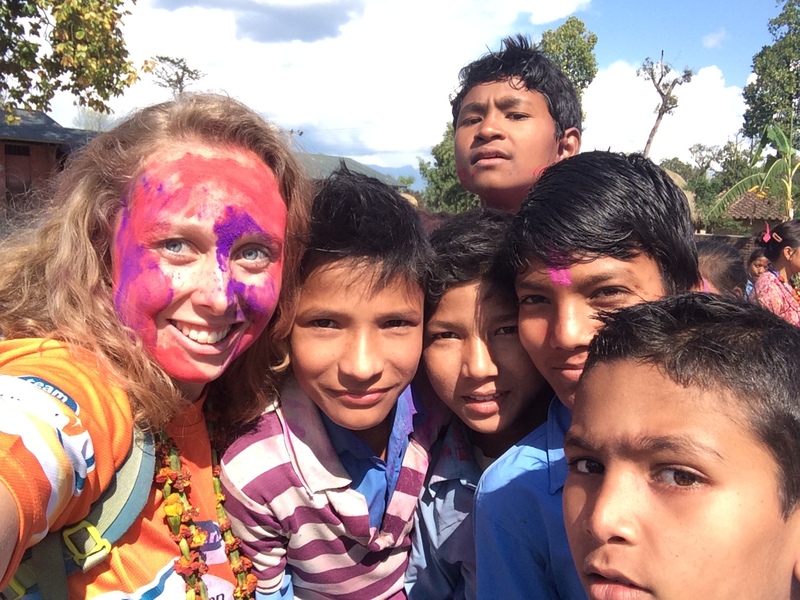 One more day of Holi as they celebrate on the 5th March in Kathmandu and I will arrive back there by then. 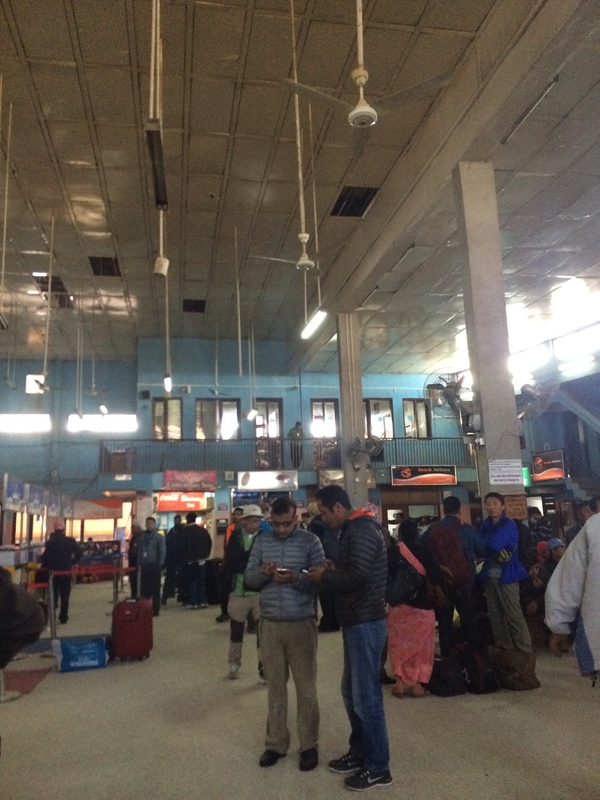 I’ve woken up this morning wondering if my flight to Kathmandu will go today after some issues yesterday with weather and a plane… incident. 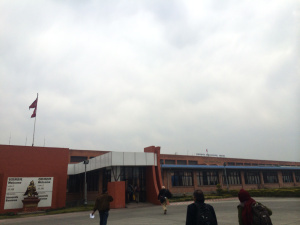 See Turkish Airlines landing into Kathmandu. Noone was hurt. This is rather scary, and does not put me at ease once again for my flight today, domestic small carrier, into Kathamandu. My flight in internationally was one of the worst of my life, terrible turbulence and an electrical storm, I really said my prayers. I get a call this morning from a friend. International airport is closed but domestic seems to be ok – hope the flight goes. Soon after I get a knock at the door and reception have come to tell me that a call has come for me saying that my 1.30pm flight… is now at 10.30am (might I add it was 8.45am). It’s a tiny town and tiny airport, but still, I would like to be there with some time before the plane actually leaves. I was told my taxi would come at 10am – to get me there by 10.15am as it’s only a 15 minute drive. Sorry… you want me to get to the airport 15 minutes before my flight. Nope. I said a car needs to be here asap. Ok 9.30. Still too late for me but it’s the best we’re going to do. So then I went down for breakfast… nothing was there! I went into the restaurant and was informed due to Holi festival, there are only 3 guests in the entire hotel. I order to my room and proceed to inhale my delicious breakfast of cold coffee and Aloo Paratha (indian breads stuffed with curried potatoes, my favourite) with curd. Hhaha oh Nepal. Ok. So bring on this flight and hope to see you soon Kathamandu. Oh… and just before I leave the hotel, I get a text saying “No worries. Flight time is 11.30. You will need to be at the airport at 10.30, so plenty of time.” What!! Was this not valuable information at the time I was running around my room packing and inhaling food? haha Oh Nepal! It’s also HOLI Festival. So let’s see how we go with Taxis, getting through the streets etc when I reach!!! I’m climbing to Everest Base Camp on March 7, 2015. 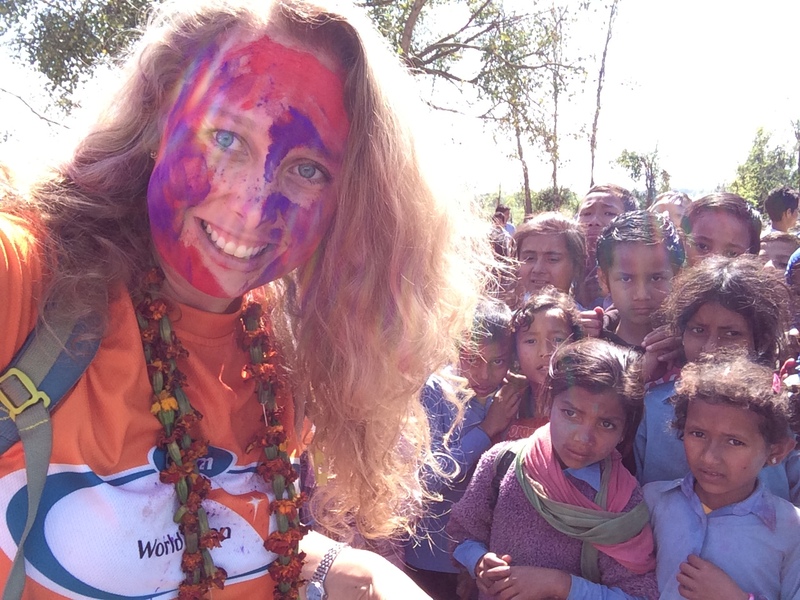 Sponsor me and support the work of World Vision Australia.https://everest2015.everydayhero.com/au/emma-takes-on-the-best-trek-everest. You can follow our adventure on Twitter, Facebook and Instagram with the hash tag #everestbasecamptrek2015 and by following @inspiredadvntrs on Twitter and the blog here. Sitting in the car as we approached the school I felt a rush of emotion as the time was fast approaching. More than five years of sponsorship, close to a year of planning and hundreds of hours of travel and I’m only minutes from meeting my sponsor child Kamala. I stayed in the car a minute longer as my hosts Kiran from the World Vision Nepal Dhanghadi Office and Intern Absara climbed out to wait for me. I took a short video of my nervous anticipation, braced myself for the hundreds of little faces that would greet me and prepared. As we strolled into the schoolyard we were surrounded by children, they are fascinated by this tall blonde visitor at their place of learning. They giggle as I glance in their direction. I’m sweeping their faces, searching for my Kamala, my sponsor child. I don’t know how the meeting will happen or when, or what’s the next steps. I have so many photos of her, but she has grown up over the years and a person can look so different in the flesh, I hope and pray that I recognize her. Standing and observing the playing children, a few come close to ogle me and I smile and make a face to them. Suddenly a girl strides toward me from my left and strikes out her hand “ Hello. 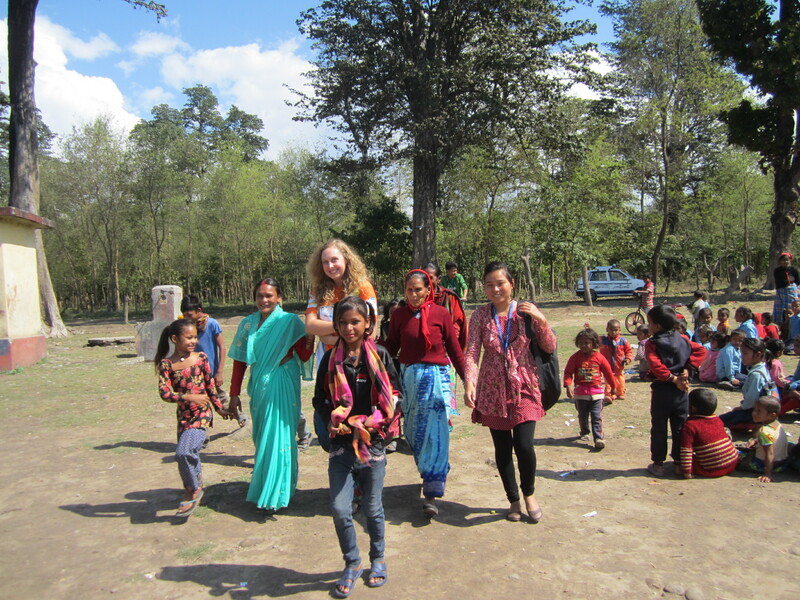 Nice to meet you.” The girl is not wearing school clothes, and his followed by a woman in a sari and some others. Kiran approaches me from my right and I flick my head back and forth between them and ask quietly, still holding her hand “Is this her? Is this Kamala?” The mother takes my hand and shakes it and greets me in Namaste. I raise my hands to my face and take in a breath as I begin to shake and cry. I can’t help it. The emotion! I scoop up Kamala’s hand again and embrace her. I apologise for my crying and Kiran explains to her that I’m not sad, I’m happy. The family soon come to join and there is now a gathering of close relatives. I walk to Kamala’s mother who has also been crying while watching the greeting. We do the Namaste greeting and I bow my head to show respect. She holds my hands tight and shakes them. She introduces then her Ama, her mother. The grandmother of Kamala. I begin to cry again as I move to greet not one, but both of Kamala’s grandmothers. These respected elders also greet me with a Namaste. I’m then introduced to her father, elder brother, younger brother and younger sister. I’m rapidly losing count of family members and before I know it, we’re huddled together for a family photo. Four or five cameras point at us and shoot off photo after photo as we pull together. Wow! So much emotion in such a short time. I’m taken by the arm on my right by the mother of Kamala and on my left side gathered in by the two grandmothers. Kamala walks in front of me and I’m led to the meeting room where we can get to know each other and chat about their lives here. As we settle in, I ask a number of times “Tik sa?” “Are you ok?” to Kamala. This is overwhelming for me, but as a child of 12 with her entire school and family watching on, I can imagine this is extremely overwhelming. 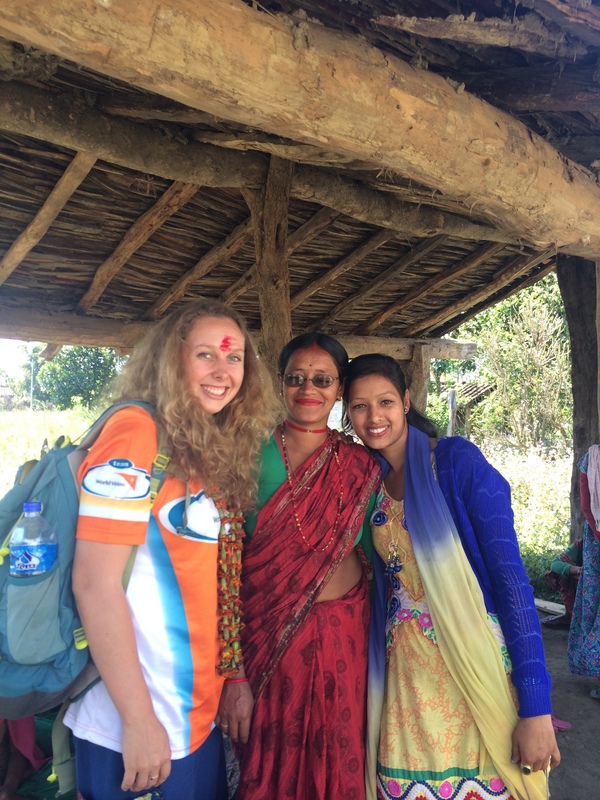 Kiran, our World Vision guide, also translates and asks her if she’s ok and assures her I’m a friend. She smiles faintly as her family begin the ritual of welcoming me and the other guests to the village. After having a traditional welcome, it’s time for me to get to know Kamala. She is a little shy but was so bold when she first greeted me. I wanted to make her feel at ease and decided gifts and fun things were a good start. As I sponsor Kamala jointly with my mother Sarah, I had been loaded up with some amazing Australian gifts for her. Mumma loves to shop and she’d done a great job of finding education and fun things for Kamala to share. We gave her a game, books to read, puzzles of Australia, pencils and Australian colouring books and stickers. We also looked at a giant map of Australia together and a card filled with Australian animals. It was nice to share with her these things from my home. I got to learn about the family and the siblings of Kamala. Her cheeky younger sister hovered between the two of us the whole time. I could feel her lounging on my arm and twirling my hair in her fingers. She was a funny little thing and seemed to adopt me right away. Kamala said thank you for the sponsorship and it meant a lot to her to receive the cards and letters. When I first got there, I had shown her the cards and drawings that we had received and that I had brought them with me. I also got to see our correspondence and the history of the sponsorship in her folder at the office, which was a beautiful walk down memory lane. Kamala started to smile a little and I could see her watching me. She would just look up at me, I would smile at her or make a cheeky face and she would smile modestly. 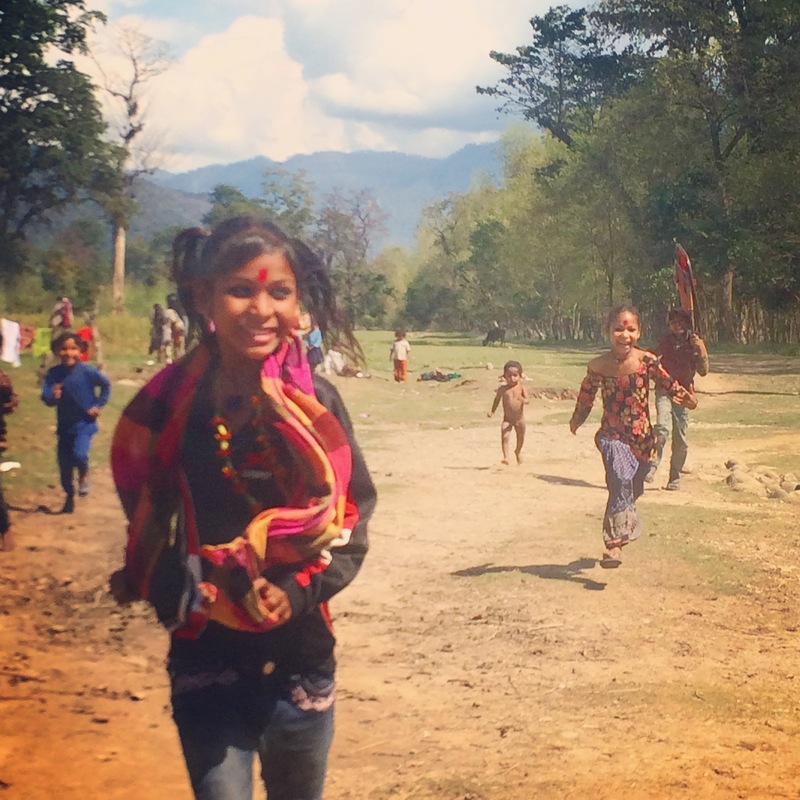 I told her “sundari” – it means beautiful in Nepali. I asked them to translate a story for me too. My friend in Nepal is called Sundar, meaning the male version of beautiful, handsome. He calls me sundari but he failed to mention that it also means female monkey. The girls laughed at this story and told the World Vision staff that I was definitely not a monkey. I felt at this moment closer to Kamala and I held her hand and squeezed it. She held my hand back and seemed much more at ease. It was time for me to share some of my family. I took out the trusty iphone and showed pictures of my mother, father, brother and sister. In Nepal, family is very important. They want to know about your background, where you come from and what your family has been doing. Not so much about what happens next, it’s your history that’s important. They all agreed my family was beautiful and enjoyed comparing the pictures of them with me. The parents and the World Vision staff engaged in conversation and I had some time to just sit with Kamala, her sister and another little friend. It was time for selfies!! I wanted to see the big beautiful smile of Kamala and so I showed her my big smile – she caught on and we both smiled together with the cheeky monkeys hanging behind us. It was so lovely to laugh and relax with these little sweeties. After all to short a time, it was time to leave. I wanted to make a reason to stay. I wanted something else to see here or do here. I knew it wasn’t possible and felt our time coming to a close but I just couldn’t bare it. All this time, for what seemed like just a few minutes. Kamala took me by the hand and her sister launched onto me and grabbed my other arm. The girls walked me out and seemed to be leading me a bit astray. Kamala’s father had to yell out to her and direct her back to the driveway where the car was, I think they were trying to unsubtly kidnap me and keep me there. Kamala looked up at me and had asked me before we left the meeting if I could come to her house. 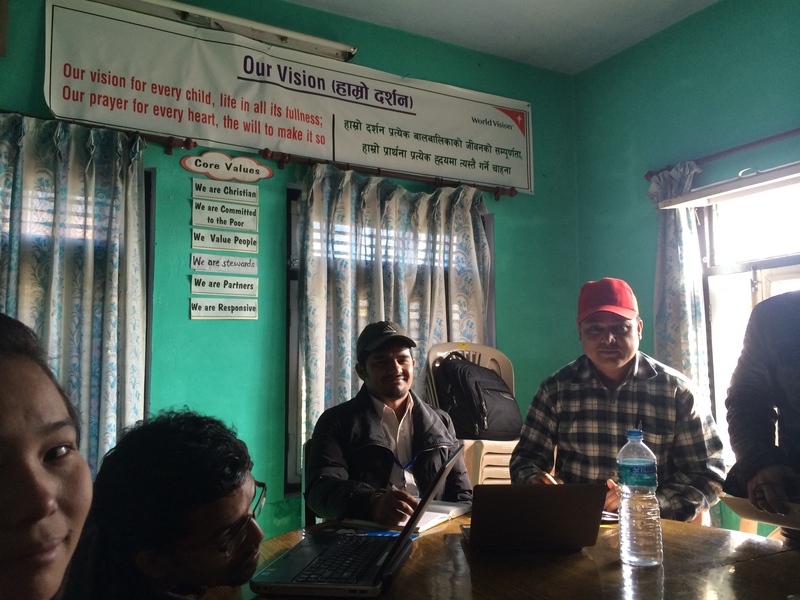 Due to child protection policy of this World Vision ADP there are no home visits allowed. I completely understand this and am happy to comply, but how does one explain this to a 12 year old girl who wants to invite you into her home and share her world with you? 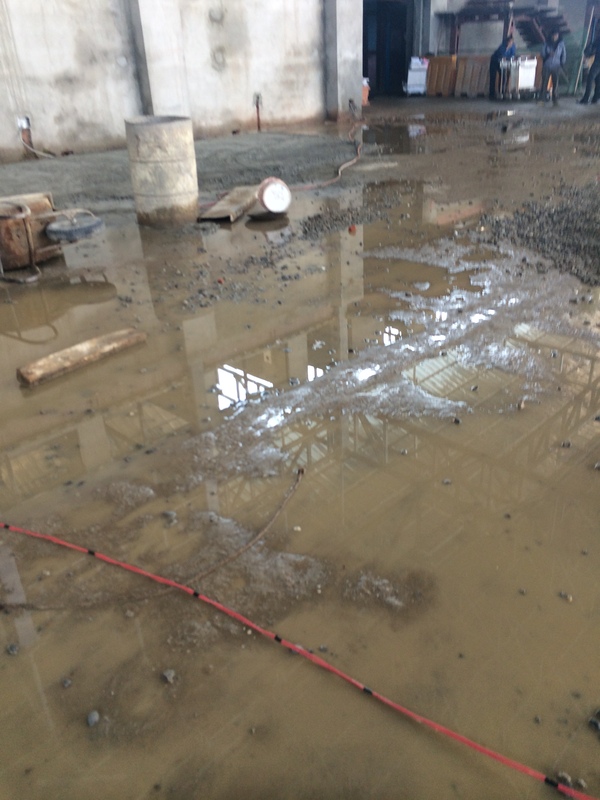 I left that for the staff to do in Nepalese and with my eyes said sorry. 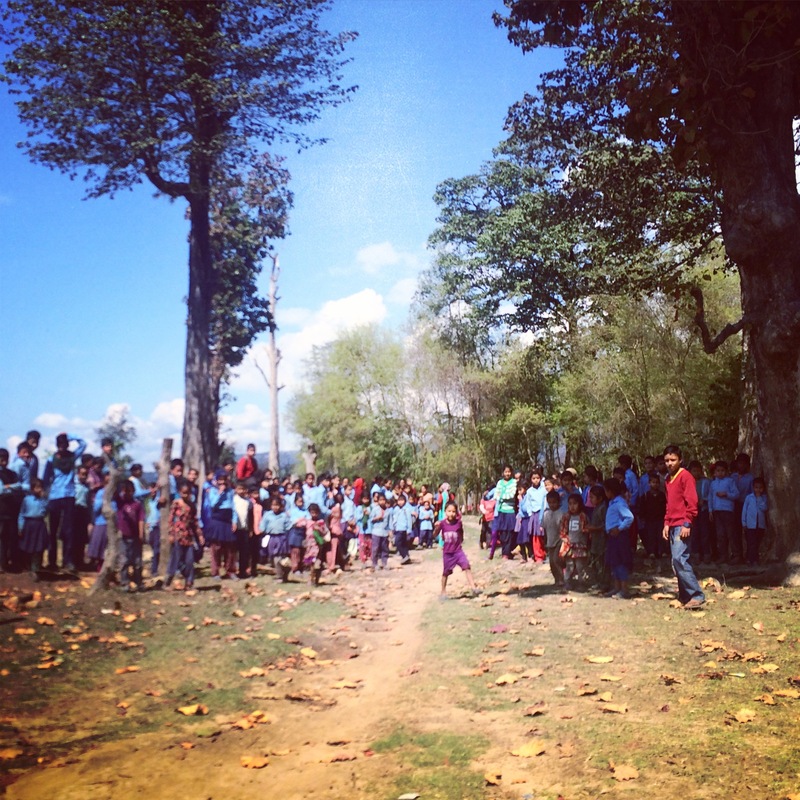 As we stood near the fence and the other children came rushing out to farewell us, I could feel the sadness mounting. Kamala gazed up at me and we held hands. I embraced her for a hug and touched her face and said be good. There were tears and hugs with mum and the grandmothers. They kept holding my hands and touching my face and pulled me in for long big hugs. I think it’s important for them to meet the person who is involved in their child’s life from a distance. It’s certainly important for me to know them and have a connection with them. I’m so glad I could be there. The goodbyes seemed to drag on and on, none of us wanting to say goodbye. With each round of handshakes and hugs, I again went back to Kamala and pulled her in for another hug. I wanted her to know how much I cared. 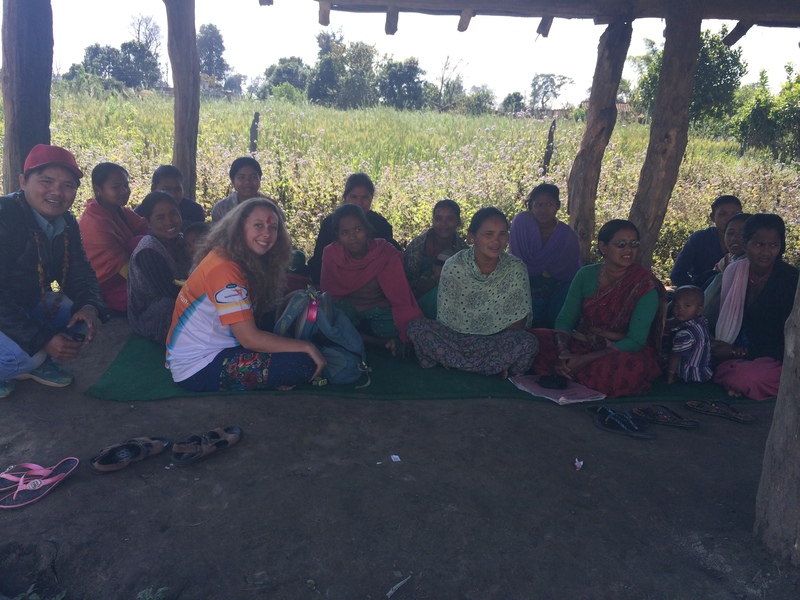 My parting words to mum, dad and the World Vision staff were “School is so important. Her education is number one.” It was translated for them and I said it’s so so important that she remains in school and gets her education. It’s my wish for her and it’s something I believe so passionately. Every child should have access to quality education and the opportunity to learn. She’s a healthy girl and I hope for her a bright future. I climbed in the car and it looked as though the entire village had come out to see us off. Amongst the hundreds of little faces I could only see Kamala’s staring straight back at me. She had a gentle smile and she seemed so calm and content. I waved and waved as we pulled away. Usually I don’t like to turn back, I like to say goodbye and go. This time, I turned my head and I looked back to see her running after the car. She was running and running, powering her legs along. Her little brother joined her and they chased the car waving and smiling. It was breaking my heart but I couldn’t turn away. I was laughing and commentating their approach of the car and their running. They ran for as long as they could keep up and then stopped as they approached the turn off to their home. From there they stood and waved, the three little siblings waving until we were completely out of sight. What a moment, I’ll never forget seeing them run with such joy and warmth to bid us farewell. The afternoon was a full program of local office visits, program observations and site visits. It was wonderful to see what the area was up to but my mind was awash with the warm memories of my meeting with this little girl I’ve known from afar for so long. I look forward to sharing the stories and things I’ve learned from this project in many more blogs. Mothers group in the same area. Also an Early Childhood Development centre. It was an honour to have the opportunity to meet Kamala and now I can’t wait to share many stories of my visit with my friends and family back home. Especially my mum Sarah who I share the sponsorship of Kamala with. I wish more than anything she could have been there to experience the meeting. It’s proven to me once again how important child sponsorship is and how we really can make a difference to the lives of so many. Thank you Kamala. Thank you for the joy you’ve brought me and for your beautiful smile.